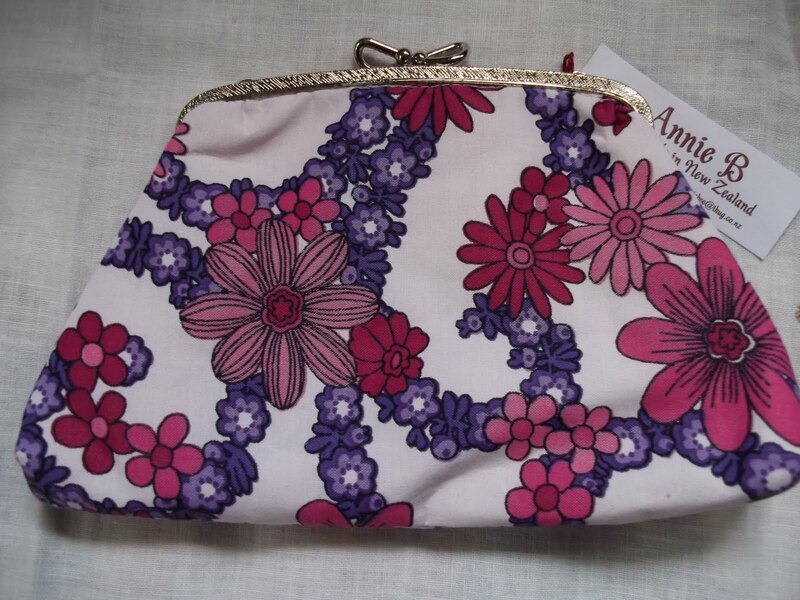 Who is Annie B Handmade? Ann Brown - wife & mother of 3 kids & a staff. I have pretty much always worked in thetextile industry. I gave up full time work last year and I now work part-time in a fabric & craft store and the rest of the time I spend working on stuff for Annie B Handmade. I knit and sew and I always have at least 6 projects on the go at once. I am an op shop addict and all our neighbourhood op shops know what I like & keep stuff aside for me. I often come home & find doilies & blankets on the doorstep that friends have dropped off. 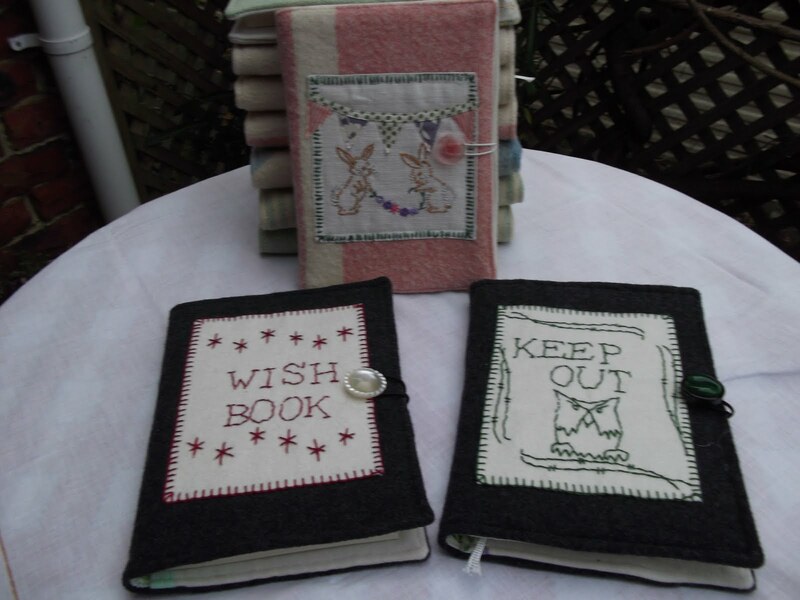 I make bags, purses, journal covers, brooches etc from vintage & recycled textiles. Metal framed purses are my BIG thing - currently with new vintage metal frames given to me by a friend. 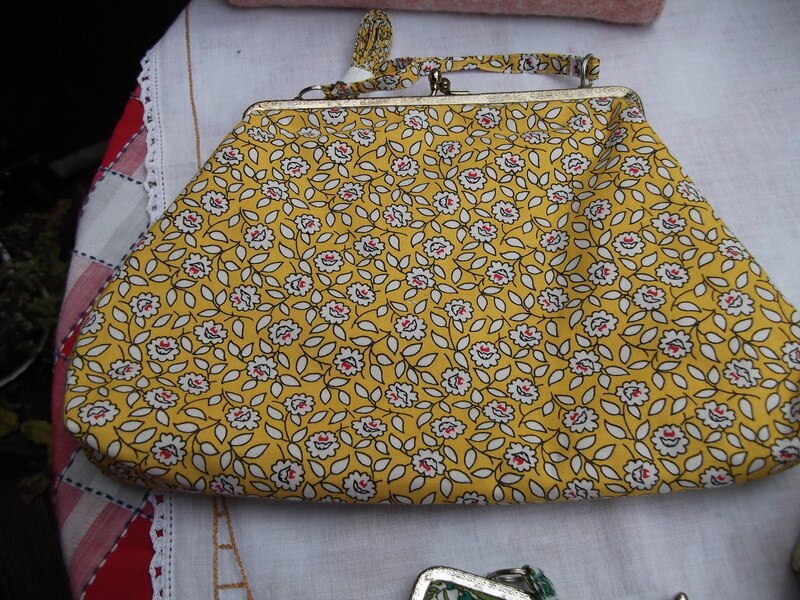 I am making purses with some 1960's fabrics that we found in my mother-in-law's attic after she died & it looks great with the vintage frames. I also make cushions, Roman Blinds & curtains to order. My grandmother and my mother were both a big influence. They were always busy making something. My nana used to do the most amazing crochet & knitting. My mother taught me how to sew and knit and when I was young and pretty much all our clothes when we were kids were made by her on her Zundapp sewing machine. I started making dolls clothes when I was about 10 yrs old - both knitted and on the Zundapp. I love reading craft books and suspense/thriller novels & I really enjoy all the craft zines that are around now - especially the online ones. I also love music and my ipod now has pretty much our entire cd collection on it and I am now working on converting our vinyl record collection to digital - it will be a lifetime work as we have around 2000 records. I always have my ipod on when I am working ( I don't like those in-ear plugs though - mine is plugged in to a speaker system). I like a large range of music but blues/ soul music is probably what I listen to the most. (Pretty much anything - I am of Irish descent so talking has never been a problem for me). Crafts, food, music, films, books , kids, gardening - anything except politics. I work 2 1/2 days a week at my paid job which motivates me to get into my studio when I am at home. I treat my business as a real job so I try and keep a regular schedule out in my studio and head out there on the weekdays when I am at home at 9am and stay out there till my daughter gets home from school at 4pm. I pop back inside to grab a sandwich & cup of tea unless I have a huge workload and then I take lunch and a thermos out with me. I have to be very strict with myself or I am easily distracted. My daughter turns 18 this year and my 2 boys are 26 and 30 (the 30 yr old isn't living at home) so they pretty much look after themselves.My kids can all cook so meals are a shared responsibility and we all only have to cook a couple of times a week each, which works really well. I can head out to my workroom & work until I get the dinner txt if the mood takes me. I don't really have one that I can recall, anything that doesn't turn out like it should usually gets made in to something else. I don't through much away. Both - I have a wee studio at the bottom of the garden path but still use the kitchen table to do a lot of my cutting out & planning. I also fully utilise any other available space in the lounge & dining room - it's hard to change the habits of a lifetime and my family are used to being surrounded by fabric and wool. Any flat surface is fair game. More space to store my fabrics & a large cutting table - otherwise I am pretty much sorted. 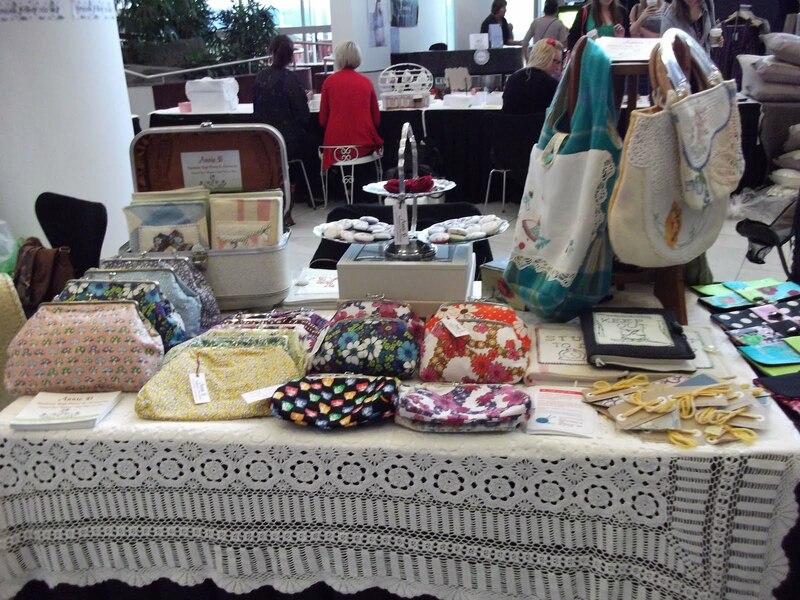 I adore the vintage fabric!! Thank you all for the lovely comments. All my journals are made from vintage blankets but I now have a fab machine to sew leather so will have some leather journals sometime in the near future hopefully.